Piaget - Piaget Altiplano Meteorite . New wonders of Piaget . Piaget Altiplano Meteorite . New wonders of Piaget . 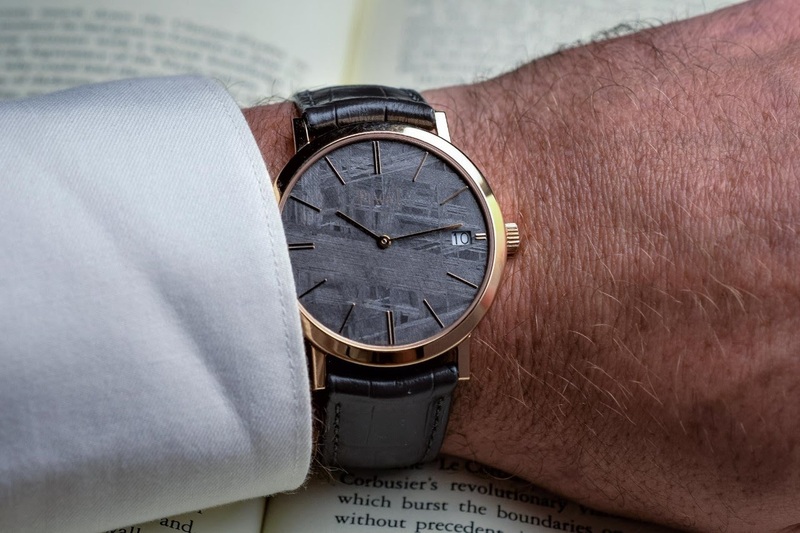 Piaget , the wonders maker has bought a meteorite that had fallen in china in 1964 and used it for the dials of their Altiplano models .The Piaget Altiplano Meteorite will be officially launched at the next Salon International de la Haute Horlogerie in Geneva in January 2019.It has all the attractions you could wish for. Its slim 40mm-wide gold case houses a surprising stone disc that fell out of the sky. That it to say, the dial is cut from a fragment of grey meteorite. The disc has an unusual texture, known as a Widmanstätten pattern, named after the Austrian scientist who identified it in the 19th century. The texture contains oblique stripes set close together and indicating a high amount of iron and nickel alloy that has been heated to extreme temperatures of over 1,000 C° and was then suddenly cooled down. It takes great dexterity to cut out the dials. The result is always highly individual, making each one of the 300 watches in this limited edition truly unique. 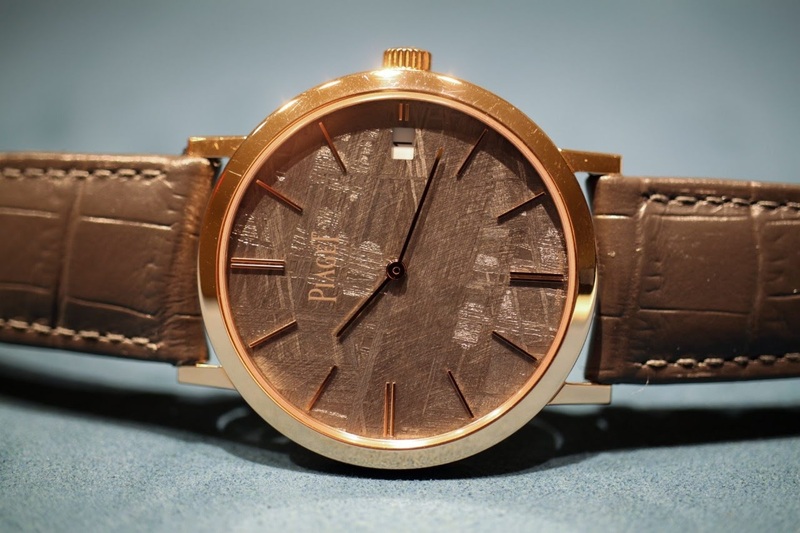 Piaget seems did not want to alter the beautiful Meteorite dial . They altered it to add the date window. If it wasn’t altered at all, it would have been much better. The hands and date font looks like the same used on the AP Code 11.59? What the heck happened to the date window. I really despair sometimes ! I think Piaget did not want to alter the Meteorite dial . Meteorite dial this beautiful must dominate most of the dial . I think with no seconds hand being a formal dress watch looked static and had to add a date window that had to be small in order not to alter the Meteorite dial proportion . aren't the hands a bit short ?! probably just my feeling...all said it is a lovely dial !